And Asa made prayer to the Lord his God and said, Lord, you only are able to give help against the strong to him who has no strength; come to our help, O Lord our God, for our hope is in you, and in your name we have come out against this great army. 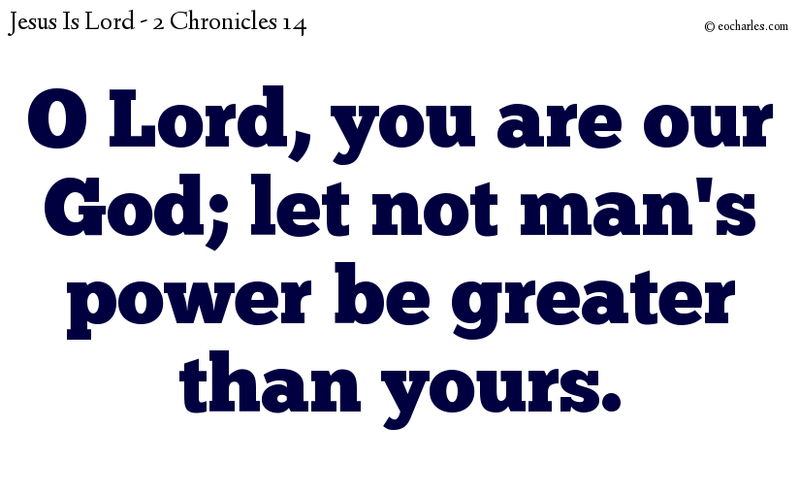 O Lord, you are our God; let not man’s power be greater than yours. Previous Previous post: O Lord, our Lord, how noble is your name!